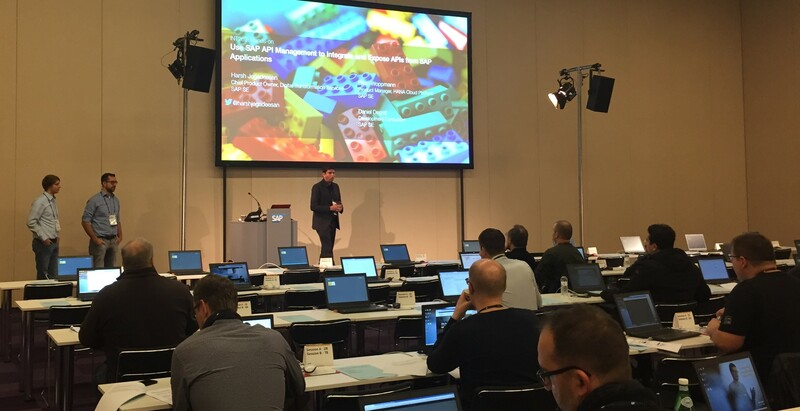 Last week I had the pleasure to present our API management at SAP TechEd Barcelona! 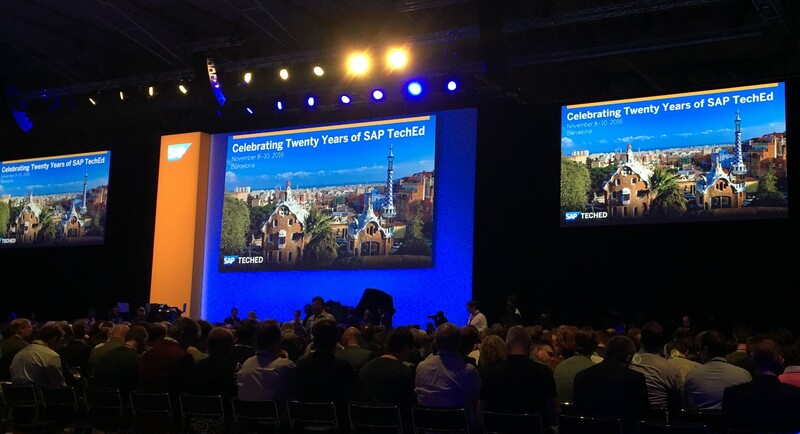 A few months ago my colleague Peter Ng had published a blog on all the sessions we were going to present in the upcoming TechEds (SAP HCP, API management @ SAP TechEd 2016). Reading through this blog it was already clear that we would have a great presence in all three events. 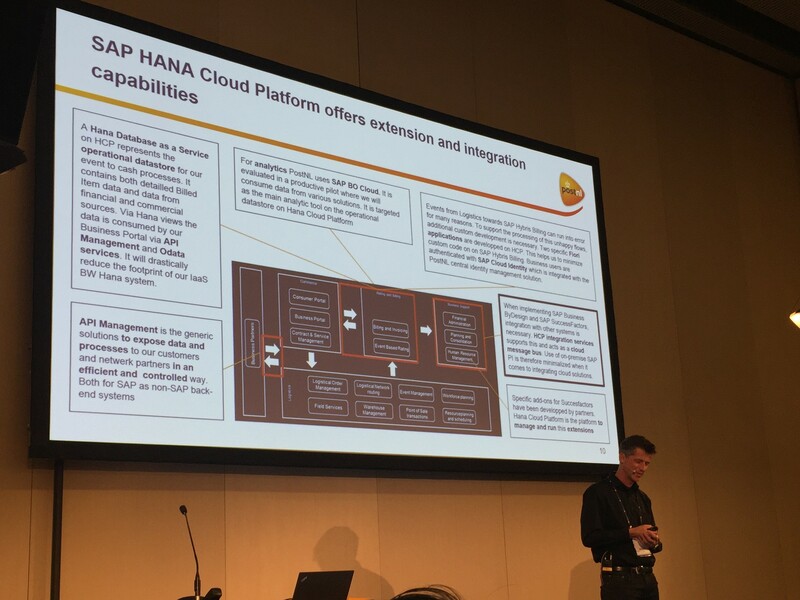 Right after the keynote we had our first Networking sessions where we had an open discussion about our investments in the SAP API Business Hub and our SAP HANA Cloud Platform, API management. 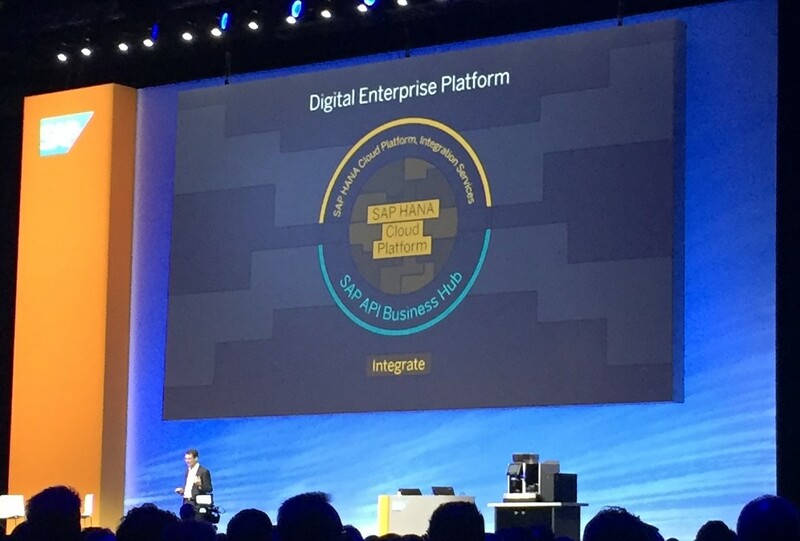 Several customers asked about the availability (it’s already there: SAP API Business Hub, http://api.sap.com) and how they could get started with SAP HCP, API management (http://bit.ly/SAPAPIMInfo). After this session we (my colleagues Carsten Bönnen, Björn Woppmann & Harsh Jegadeesan) “split-up” and started with our session martthons. We introduce API management in an Overview and Roadmap session (all of them super-packed) and showed in several hands-on sessions how customers can work with API management. – “INT262 Use SAP API Management to integrate and expose APIs from SAP Applications” provided a good basic overview of how to work with API management. We created a simple API proxy, added several profiles and finally looked at the analytics features after calling the proxy. – In “INT 263 Building an SAP Fiori App Using APIs from SAP API Management” we put the focus on the consumption side and create a very simple API proxy. Then we made this service available so that we could explore and use this API directly from the SAP Web IDE. Using the Master Detail Template we created a simple SAP UI5 application. – In “INT266 How SAP Process Orchestration Can Leverage SAP API Management” we brought Process Orchestration and API mangement closer together. We showed how both products can be leveraged together. Depening on the version of your process orchestration you can use API mangement to easily do tasks like SOAP to REST conversion and — if this is something that you can do already with your latest PO version — how you can protect your services further. Or even add qualities like caching on top. 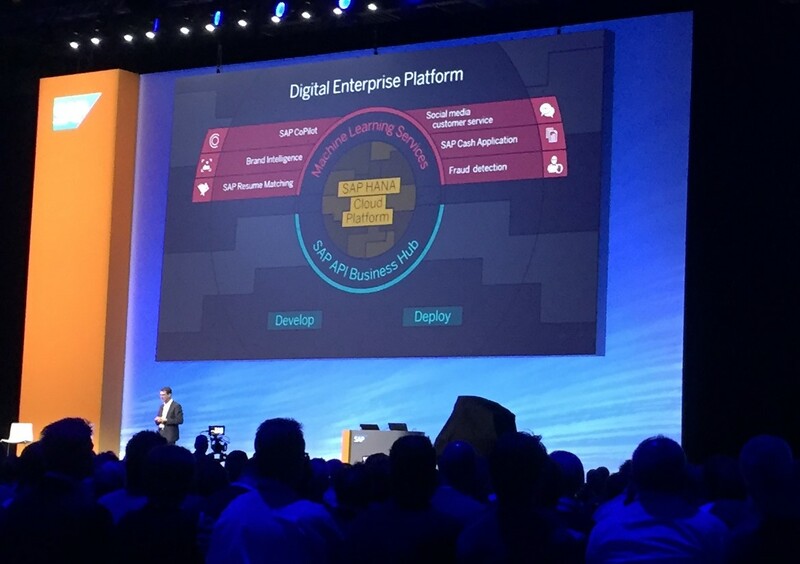 – In “MOB261 Build SAP Fiori Apps Using SAP HANA Cloud Platform and SAP API Management” we finally showed how you can also leverage mobile qualities by enabling the Hybrid Application Toolkit. Enhancing a simple Fiori like application we create an app that would access the camera and act as a barcode scanner. 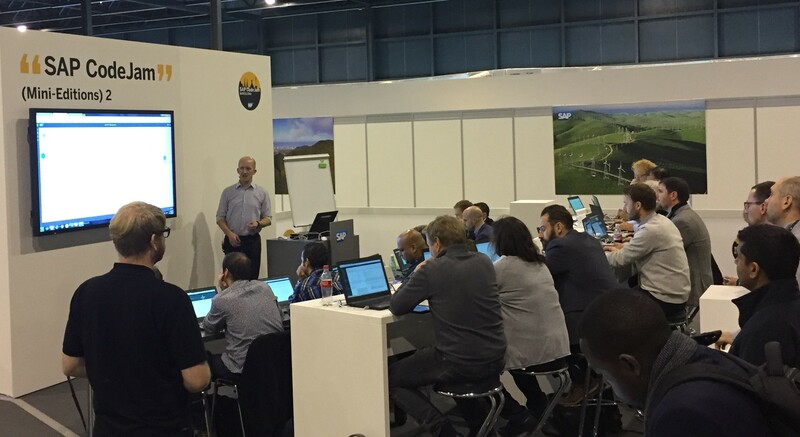 For those participants where the 2h hands-on sessions were too much we also offered a Mini-Code Jam session ( INT602 – SAP API Management with Cloud Business Applications) in which Carsten showed how you could use API management on trial, create API proxies and use some of the available policies to add security features. All in all the attendenace and also the feedback that we got was extremly positive! Some of the hands-on sessions were already done on the HCP trial landscape, others were hosted on a dedicated landscape. Still, all the steps should be more or less reproducable in your own trial account. We are currently working on making all the guides available here, but if you cannot wait, then please go to http://bit.ly/SAPAPIMInfo to get an overview of all the tutorials, blogs, documents that we have published so far. One final highlight for me was, when the customer PostNL talked about their implemention of SAP HCP, API management in the context of their digital transformation. 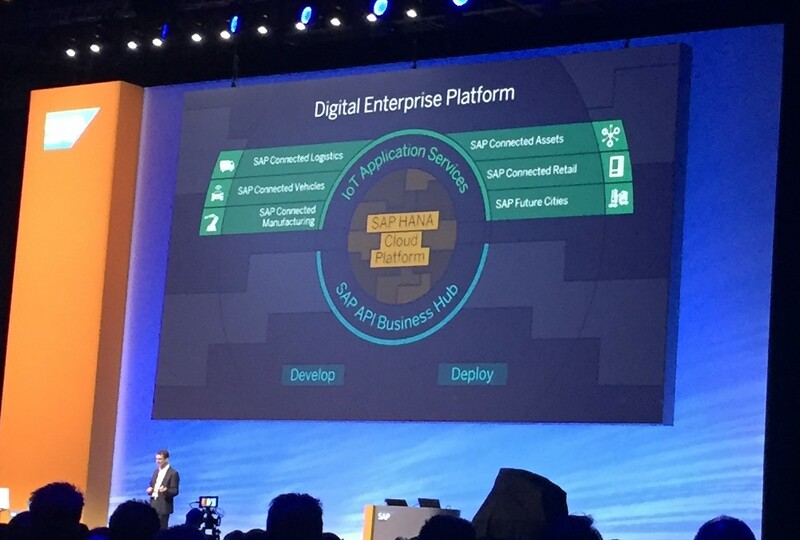 We can clearly see that our customers are actively using SAP HCP, API Management and are happy to share their stories! I had a great time attending your session on INT263, thanks for answering so many of my questions then!